The innovative ICON 3CS VAC is a compact and versatile induction spin centrifugal casting system designed for production of the finest quality platinum, stainless steel, gold and silver jewellery. The ICON 3CS VAC incorporates patented technology to ensure consistent high quality results. The casting machine operates off a single phase 220V electrical supply. This, together with its wide melting range and ease of use makes it ideal for goldsmiths, design studios and manufacturers. To ensure the highest quality casting of palladium, high palladium content white gold and other specialised alloys, a vacuum/inert casting environment is provided. Fully integrated melting, casting and temperature control. Patented casting mechanism which ensures controlled heating of metal during casting to ensure consistent high quality results. Metal yields of up to 75% can be achieved with its innovative sprueing technique. Wide melting range from 80 – 250g of platinum. Centrifugal force on each piece can be accurately controlled, with adjustable rotating speed from 300 – 1100rpm. Optional 2 colour optical pyrometer with accurate measurement and control between 800 – 2100°C. Operates off 220V electrical supply. Vacuum or Inert gas purge facility is provided. 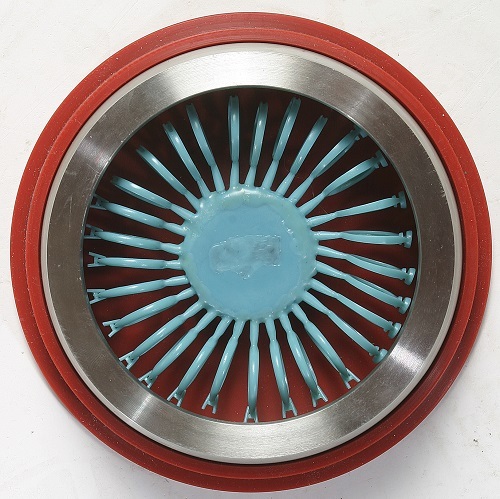 Centrifugal spin casting technology utilise the outward force (centrifugal force) that arise from the effects of inertia. By casting the molten metal into the spinning mould, the metal is forced into the mould which results in very dense and detailed castings. 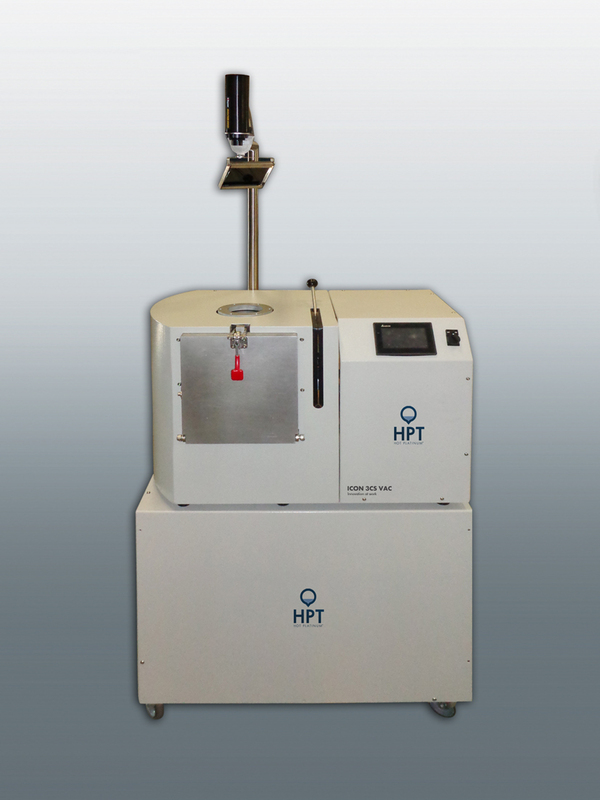 In addition, HPT’s sprueing technique differs from that in conventional centrifugal casting methods. Utilising the configuration illustrated in Fig. 1, much higher metal yields (up to 75%) compared to conventional sprueing methods is achieved.